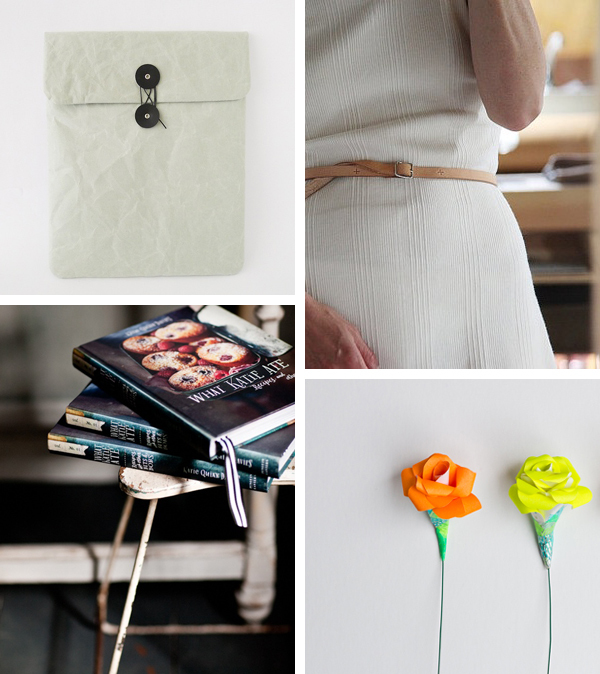 Some things I've pinned lately...I love those envelope-style cases that Wakako just added to her shop. Envelope pouches/iPad cases from Baum Kuchen, Leather belts from Infusion, Paper flowers from Three Nations, and the new book from What Katie Ate. Oo some new lovely things to check out. Thanks Alli! Such lovely things! I love the envelope style iPad case! The ipad cases are beautiful. Might have to get my hands on one of those. Thanks for sharing Ali. Thank you so much for including the SIWA case for iPad!! I am so glad you caught it:) It really is a perfect tactile and beautiful companion for our tech! Those paper flowers are so pretty! The envelop iPad case looks gorgeous!